Plan for a delicious Holiday Lunch Buffet at 94th Aero Squadron! 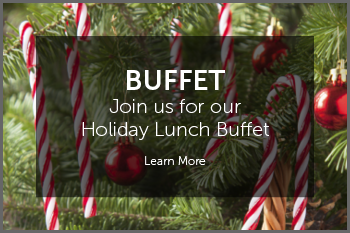 Available December 6th-December 23rd*, Wednesday-Friday from 11am-2:30pm, our Lunch Buffet selection is great for a festive lunch break or hosting out of town guests! *Tuesday-Friday only. Management reserves all rights. Price excludes tax and gratuity.